Two years after his debut full length on the label, Modeselektor’s 50 Weapons will release the second artist album, Gordian, by Romanian Cosmin TRG on April 26th. Since that debut, the now Berlin based Cosmin has toured the globe, taking his rusted techno frequencies to places like Fabric, Berghain and Sonar, at the same time as releasing more essential EPs on Rush Hour and 50 Weapons. 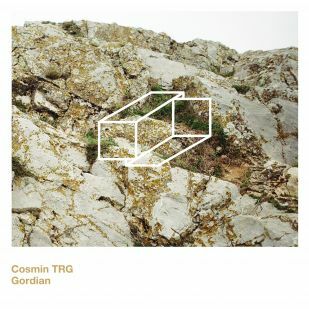 The new album marks something of a new direction for Cosmin, however – it’s a much more intricate affair that deals in plenty of fuzzy texture, percussive energy and his trademark skimming bottom ends, but looks outside the techno world for its influences. Starting with the deep, alien laced ambience of ‘New Structures For Living’ its clear from the off Cosmin’s production has continued to improve and evolve since Simulat.Abstract yet heartfelt, it’s followed by the more implosive snare rattles and crossing synth lines of the title track ‘Gordian’ that sounds like a factory gone feral. Opposing light with dark, density with space, tracks like ‘Desire is Sovereign’ manages to be both propulsive and cerebral. One thing that ties the album to Cosmin’s nuanced back catalogue is the gauziness of tracks like ‘Divided By Design’ where the distant hum of radio frequencies turn your thoughts to Cold War era transmissions lost in blizzards of snow. Though the heads down surges of tracks like ‘Semipresent’ sure will work on the floor, there’s an underlying narrative that makes this album as suitable for listening on headphones. 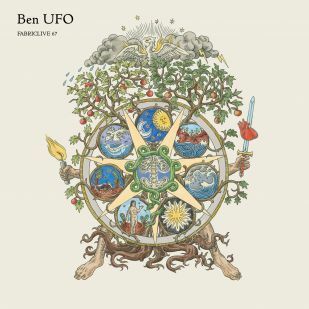 Non-standard melodies, otherworldly blips and a ruined intergalactic energy seem to course throughout, truly transporting you to another world entirely.